The Basix have been performing for over ten years and have become one of Los Angeles’ top four piece cover bands. The Basic Boogie disco show, The Basix alter ego, was born six years ago during the rebirth of disco fever. 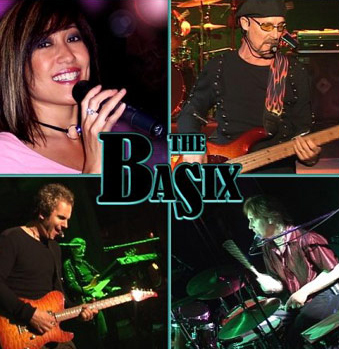 The Basix are a high-energy dance band that appeal to all ages with their rich vocals and polished instrumentation. The Basix and Basic Boogie perform for private and cooperate parties, weddings, casinos, and outdoor festivals. They are currently performing at The Monte Carlo and Treasure Island in Las Vegas. In Laughlin they are showing at The Colorado Belle, The Golden Nugget, and The River Palms Casino. They also have dates at the California Indian casinos, such as Pechanga, Pala Casino, and Win River. The Basix also are a feature band at Disneyland in California.